This snowboard accessory will ensure that your snowboard do not runaway. Attach the leash to your front binding, in a spot where it will be easy to connect to the boot. 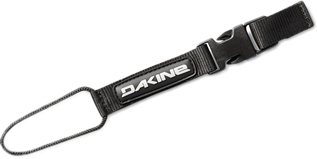 Designed to be durable and with an easy click function, this leash offers a great functionality.